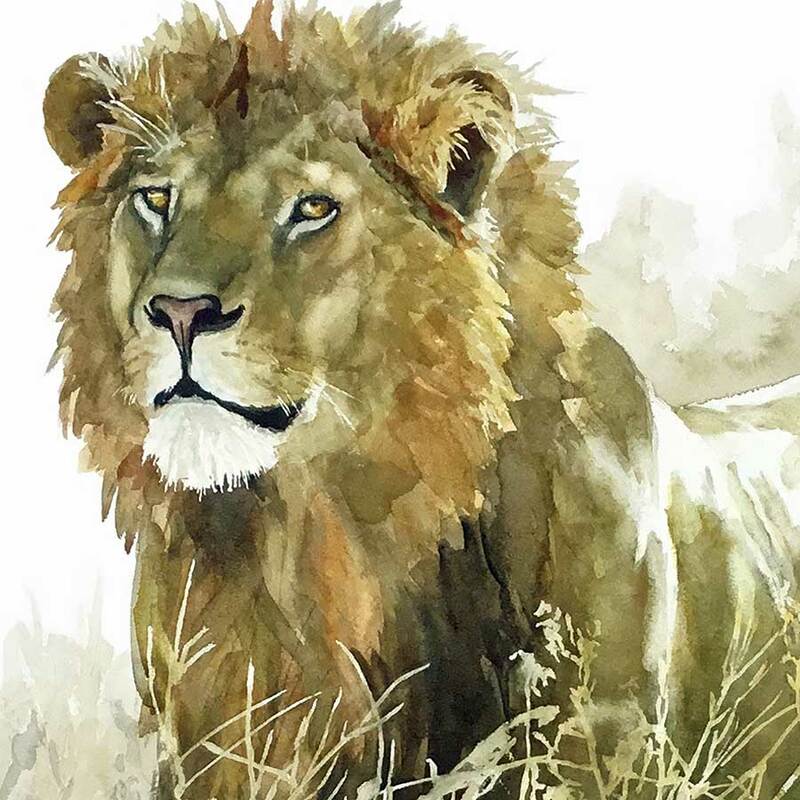 Original watercolour painting of a majestic male lion. Painting of a Male Lion. 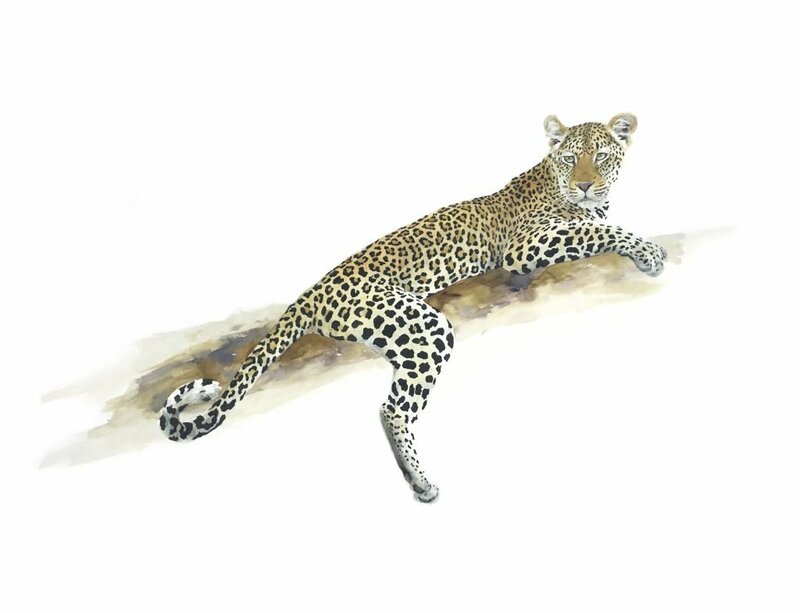 Original watercolour painting on paper by wildlife artist Sue Dickinson. 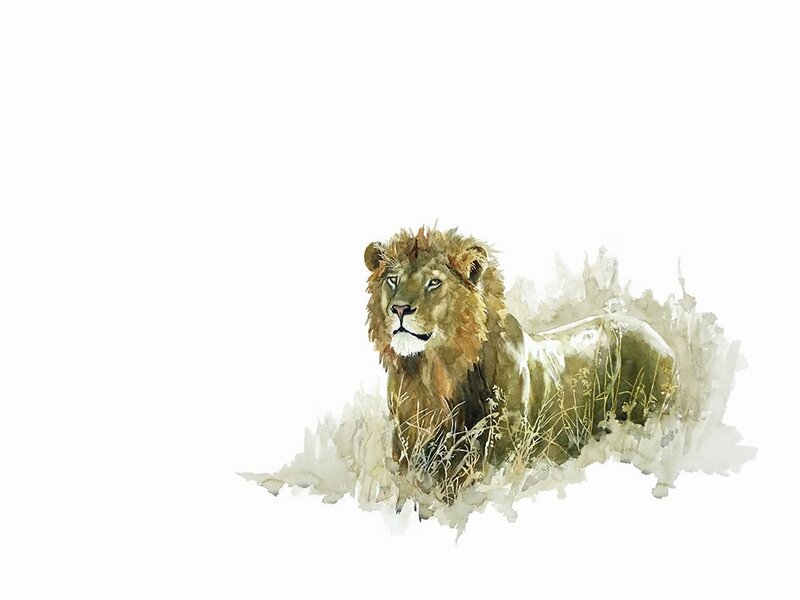 Painting of a majestic male lion standing in thick grass. Males are larger than females with a typical weight range of 150 to 250kg (330 to 550 lb). Male lions also have a prominent mane. A lion pride consists of a few adult males, related females and cubs. Groups of female lions typically hunt together. Sue Dickinson Sue Dickenson Sue Dickison Sue Dixon Sue Dickerson. Animal art is also known as wildlife art. Male lions can often be seen in sculptures and paintings. 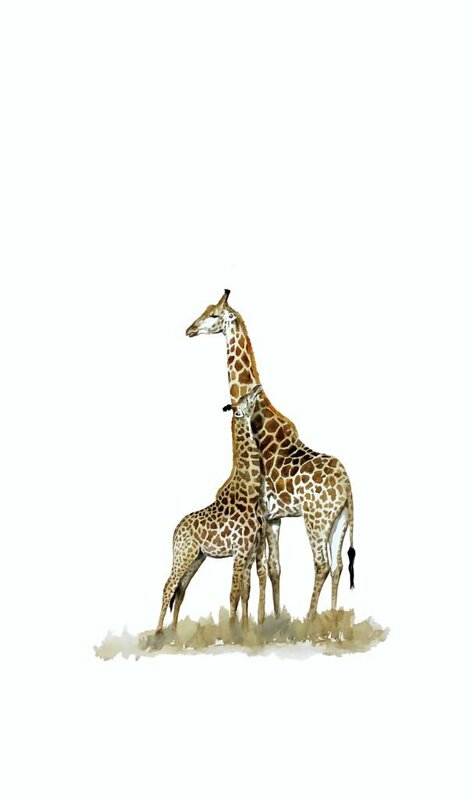 Animal art is also called wildlife art. Male lions are known for being active at twilight. Lions are the only ‘social’ cats, whereby related female lions live together and form groups called ‘prides’. 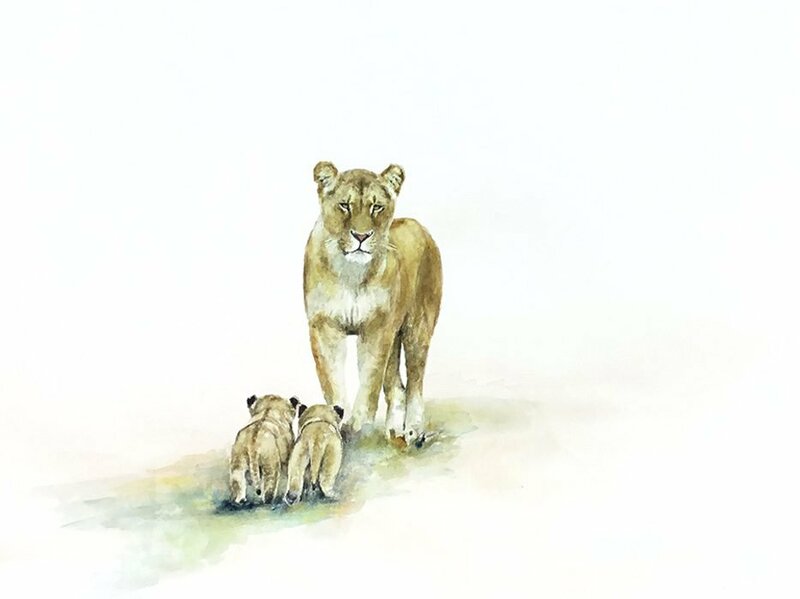 Lion prides are family groups with all of the females related, mothers and daughters, sisters and cousins, etc. The colour of the male’s mane varies from blond to black, generally becoming darker as the lion grows older. The most distinctive characteristic shared by both females and males is that the tail ends in a hairy tuft. The African Lion is arguably amongst the top wanted animals on most safari-goers’ wish lists to view in the wild. It’s bold, confident and one of the world’s most iconic cat species. But what do we know about Lions and the cat family as a whole?